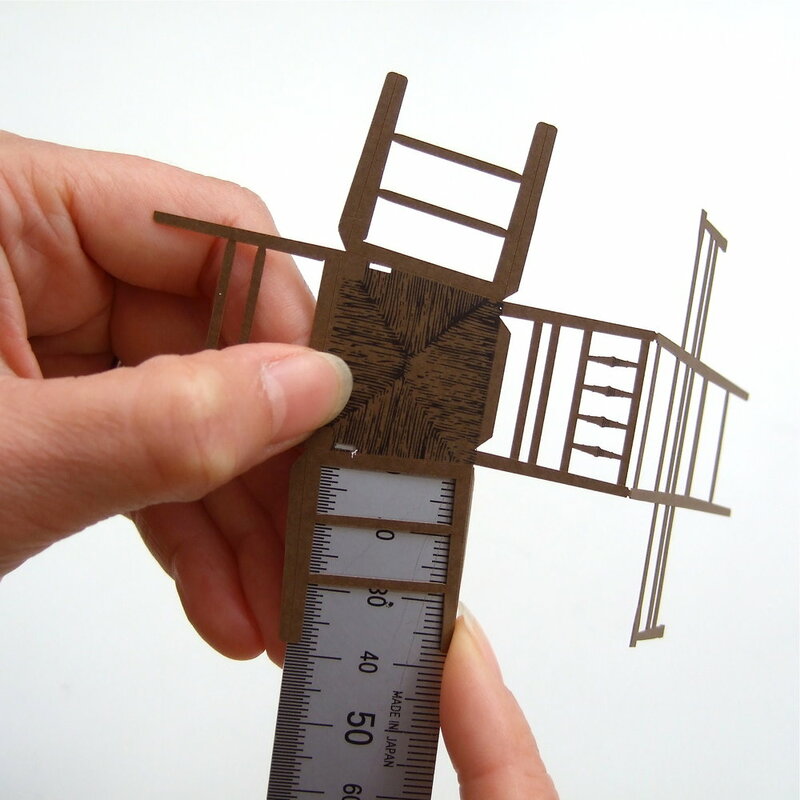 At the beginning you need to detach the parts of the chair from the card – in fact you can snap them off without a tool, but we would recommend using a craft knife or scalpel for a nicer result. 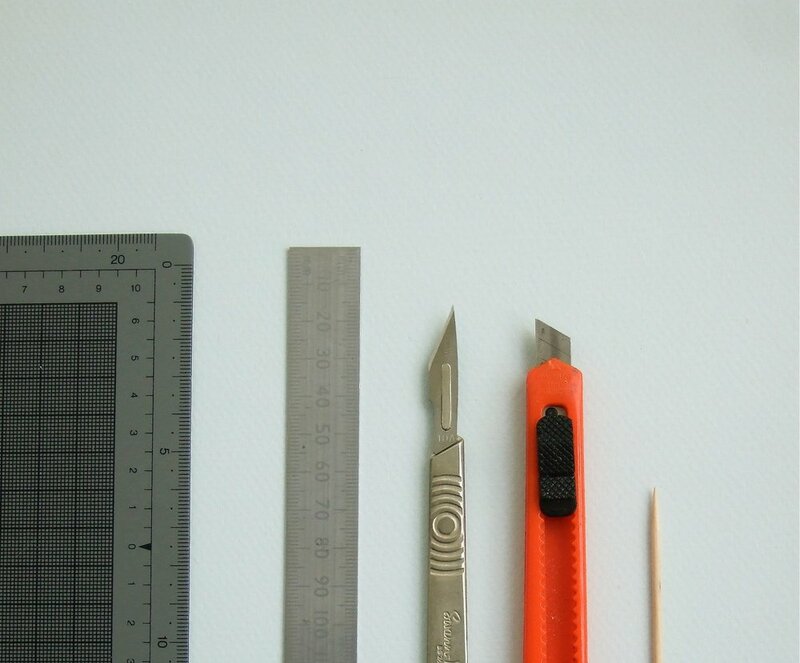 Other tools you can prepare – a cutting mat if you have one ( you can alternatively use some scrap card ), a ruler for the clean folding and a toothpick for applying the glue. 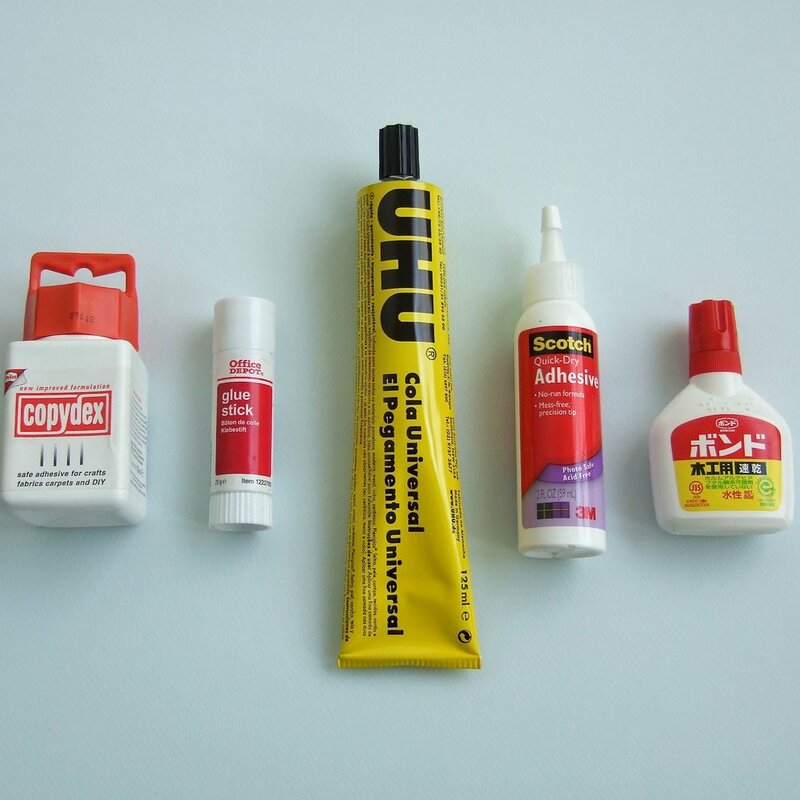 We have used all the adhesives pictured above – all work fine and our best recommendations are on the right rather than left. Copydex and glue sticks such as Pritt are slow to dry, so that you need more time to complete the model. 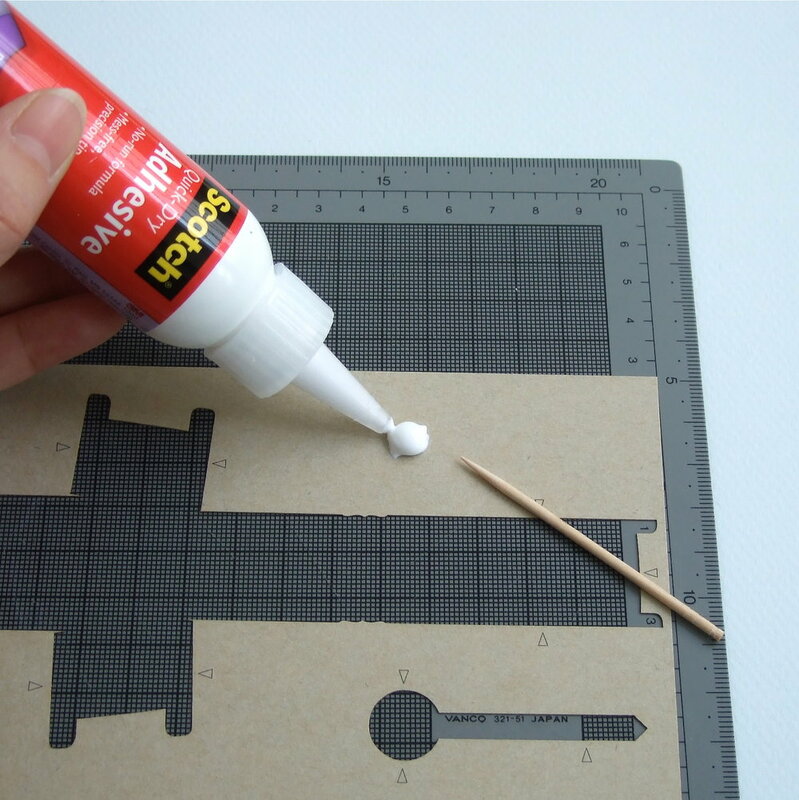 You only need a very small amount of glue to stick the parts together and, as shown below, it provides better control if you put a small amount of glue on the left-over card, then use a toothpick to apply it. Glue stick such as Pritt are OK to use – you can scoop a small amount using a toothpick. But often you have to wait a while for a glued part to dry before continuing to the next stage. We would recommend using fast drying types of glue.